Lewis Hamilton is a phenomenon of grand prix racing. The man from Stevenage has been winning races for almost a decade and has all-but dominated the sport for the past 4 years. On top of this he’s an international celebrity and in terms of sheer number of fans is probably the biggest star of the modern era –sit down Rio Haryanto. The king of Snapchat has shown no signs of slowing down as he prepares to enter his tenth year. But while for most of his career it’s been Hammer-time, there have been a few moments that have been Hammer-pants. 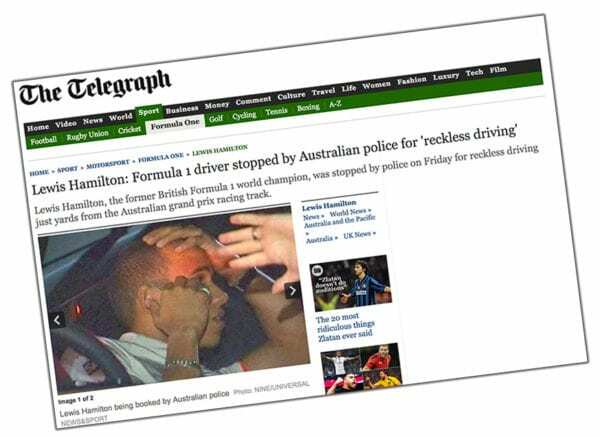 With that in mind, here are ten things that Lewis Hamilton would like you to forget. It’s probably not a revelation that people paid to drive at 200mph can have trouble switching off that instinct when away from the racetrack. Lewis is far from the worst offender in this regard – Gilles Villeneuve he ain’t – but there have been a couple of incidents. The most notable took place before the 2010 Australian Grand Prix when Hamilton was caught performing burn outs in his road car to entertain a group of fans. Melbourne police did not like the brand of doughnuts that Lewis was serving and promptly impounded the car. Hamilton escaped with a small fine despite being branded a “hoon” – boy racer to you and me – by the local magistrate. To give the story a happy ending, the offending Mercedes was later auctioned off for charity along with the police report of the incident and a signed photo donated by the hoon himself. Lewis is a road safety ambassador these days, so he’d probably rather leave this in the past. Leaving home is always hard and sometimes it can be difficult to let go of old habits. Lewis demonstrated this perfectly at the 2013 Malaysian Grand Prix when he pulled into his McLaren pit box for a change of tires. The only problem was that he was driving for Mercedes at the time. With an actual McLaren just a few car lengths behind, Hamilton’s former mechanics franticly jumped aside and waved him through, whereupon he drove further down the pit lane to the correct box. Remember when Mercedes were further down the pit lane than McLaren? Gosh doesn’t that seem like a long time ago. More pit lane shenanigans, this time in Hamilton’s championship winning year of 2008. A lot has been made of the thrilling final corner climax of that season but what a lot of people forget is that it really didn’t need to be that close. Lewis was comfortably leading the Canadian Grand Prix when a safety car prompted a dash into the pits for fresh rubber. 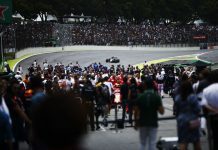 A rapid Ferrari stop led to Kimi Räikkönen taking the lead by the time the cars emerged from their boxes but the pit exit was closed and a red light awaited them. Kimi pulled to a stop, Lewis not so much. The McLaren piled into the back of Räikkönen, wrecking both cars and earning Lewis a ten place grid penalty for the following race. To add insult to injury, Hamilton was himself then hit from behind by Nico Rosberg. Hamilton and Rosberg, inseparable even back then. John Booth’s little-team-that-could has a well-deserved cult following thanks to its brief spell at the back of the pinnacle of motorsport. It’s not exactly the place you expect to spot a multi-time world champion but roll back the clock to 2002 and that’s exactly what you’d find. Fresh off the back of karting success, 16 year old Hamilton was taking on the Formula Renault UK championship. His team? None other than Manor Motorsport. Hamilton would stay with Manor for just under 4 years, finding success in both Formula Renault and F3 before departing to begin the more famous phase of his junior career with ASM/ART. Both driver and team would eventually wind up on the same F1 grid, just at very different ends of it. I own clothes that are older than Max Verstappen so it isn’t for me criticise the way anybody dresses, least of all Lewis Hamilton who is a genuine fashion icon. That said, let’s all have a giggle at this photo shoot he did for GQ in 2012. Look at it. Just look. The best part of this is that the shoot would have needed to be approved by McLaren. This means there was likely a meeting where McLaren PR staff had to sort through and critique lots of pictures of their world champion driver wearing tiny trousers. Oh the glamour of F1. 2012 was an odd year for Lewis, never really in contention for the title despite having the best car his frustration began to show in strange ways; none more so than his bizarre Twitter attacks on his team mate. In September Hamilton was forced to apologise to the team after tweeting a picture of he and Button’s telemetry data from qualifying for the Belgian Grand Prix. My bad, just found out Jenson never followed me. Don’t blame him! Need to be on Twitter more! – @LewisHamilton on Twitter, tweet now deleted! It got even weirder a month later when Lewis accused Button of disrespecting him by unfollowing him on the social networking site. This was followed by another apology when he discovered that Jenson had in fact never followed him in the first place. #Bless. Most of the things on this list relate to Hamilton’s tendency to be almost too honest. He wears his heart on his sleeve and we love him for it, but there was one occasion when this wasn’t the case. It was the closing phase of the 2009 Australian GP and the race was ending under the safety car. Hamilton was following the Toyota of Jarno Trulli when the Italian ran wide onto the grass, allowing Hamilton to pass him for 3rd place. This was legal but the McLaren pit wall weren’t sure and Hamilton was instructed to give the place back by sporting director Dave Ryan. Here’s where it gets messy. After the race, both drivers were called to the stewards where Hamilton, on orders from Ryan, denied that any radio message had been sent. Trulli was found guilty of overtaking under safety car and given a penalty, handing P3 back to Hamilton. Exactly how anyone at McLaren thought they would get away with this is a mystery and as soon as the FIA listened to the radio recordings the lie was undone. Hamilton was disqualified from the race and McLaren ended up in front of the World Motorsport Council. Ryan took the fall and was sacked by the team but Lewis was devastated that he had allowed himself to go along with the deception. According to his father Anthony, he was genuinely considering quitting the sport for a while. Almost losing a world title because of a pit lane mistake is one thing but things were even worse in 2007. Hamilton was leading both the championship and the penultimate race in China, on course for an astonishing rookie world title, but it wasn’t to be. 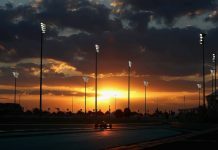 In one of the worst tactical blunders of all time, McLaren left Lewis out far too long on his ageing intermediate tyres, ignoring advice from Bridgestone in the hope that the track would dry enough for slicks. When they finally called him in the tyres were worn right down to the canvas and Hamilton slid off the road at just 20mph and beached in the gravel trap. He would lose the title two weeks later by a single point. Across their entire time together as team mates Lewis scored 657 points. Jenson scored 672. Points don’t tell the whole story of course and in terms of qualifying Hamilton holds a 76% success rate over JB but the numbers are what they are. It’s not a statistic you’re likely to see on Lewis’ Twitter feed any time soon. Hamilton’s decision to join the Silver Arrows at the start of 2013 proved to be one of the greatest career moves in history. As quickly as his new team has risen to dominance, his old one has tumbled into obscurity. But it almost wasn’t so. Back in 2012 there was little to suggest that Mercedes were future world beaters. Despite massive investment and the presence of Michael Schumacher, the team had consistently underperformed since buying out Brawn GP. According to Hamilton his mind was only made up when Ross Brawn visited him at his family home in Stevenage and personally laid out the team’s plans for the coming hybrid formula. Brawn made the case, Hamilton signed and the rest is history. But for a chat over tea and biscuits, one of the greatest drivers of all time could be stuck at the back in a McLaren-Honda. Imagine that. Know of any other moments that Lewis would like us to forget? Let us know in the comments and may all your times be hammer times.